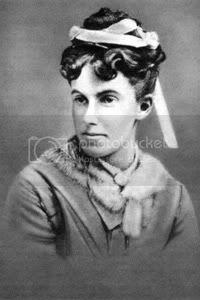 ...to make Lottie Moon a priority this year. 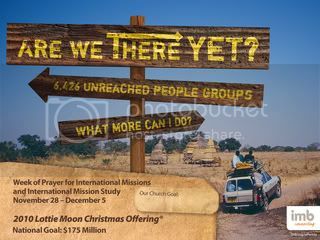 In fact I challenged people to give their largest Christmas gift to the Lottie Moon Christmas Offering. There are a host of reasons why I can say to you that the LMCO is important. But I will only say this, the "All nations" part of the great commission I believe can best be reached cooperatively. If you are not a misisonary then what better way to spread the gospel to those who are unreached than giving funds to the International Mission Board. So why should you make this gift a priority? For one thing, if there are people in America who do not know Christ it is in spite of the churches on every corner. In contrast, there are over 6000 people groups that have no access whatsoever to the gospel. For the second year in a row, my largest Christmas gift, by quite a large margin, will go to Lottie Moon. Nobody I know truly has any needs that are more important than obedience to the great commission. I hope you will consider giving your largest gift to Lottie as well. Remember when the GCR task force was controversial? Remember all the fears and hand-wringing on blogs? Way back when the GCR was still controversial and nobody really knew what would come of it, the Kentucky Baptist Convention decided to appoint a Great Commission resurgence task force of its own. On Tuesday that task force released its report, and I am proud of it for multiple reasons. We all have labels we place on ourselves. For me, two of those things are Kentuckian and Southern Baptist. For the last several years I have been a North Carolina Baptist. Now I'm proud to be home and I’m proud that the Kentucky Baptist Convention has done such an admirable thing with this report. Also you may notice that one of the members of that committee shares a last name with me; that is even more reason to be proud. I have made no secret on this blog that I love the Cooperative Program and that I believe it is the most effective tool our denomination has constructed to reach the lost. I also have said that I believe the states keep entirely too much of the CP money. (In fact when I was a NC Baptist I was strongly considering a motion from the floor that would push that convention toward a 50/50 split.) One of the things I admire most about the KBCGCR task Force’s report is the quick move to a 50/50 split. This is a hard decision. It involves intentionally cutting the budget of every entity in the state convention. Without the cooperation of the churches willing to give more, this will be even more of a hardship for the KBC. But I believe that churches will be motivated to make their own decisions to give more knowing that more of their money will reach the mission field . I applaud the task force. My church is giving 1 percent more to the CP this year, and I encourage your church to do the same. A great commission resurgence is not equal to giving more money. I certainly realize that. But it is definitely a part. I applaud Bill Mackey, Hershael York, and the rest of the task force and I give my strongest urging to Kentucky Baptists to show up in Lexington in November and to pass the recommendations. I will be there. In many ways I am the average under 35 Southern Baptist minister. I have been in ministry for 12 years all in small churches. I am seminary educated. I have no ambition to ever preach the convention sermon, but I do want to see the Southern Baptist Convention be the best it can be. All I want is to bring glory to God in whatever position He puts me. I obviously am a blogger, but I don’t have a wide reading. I probably never will. Even so, I don’t feel disenfranchised. In fact I feel very welcome within my convention. It’s even possible that because I’m one of the 15% of non-grey-hairs at the convention that my voice gets heard a little more. Now that I have established my averageness as a young Southern Baptist. I’d like to offer some commentary. First, I don’t want to dismiss the hand of God in our entities. As I think about individuals, I don’t want to assume that anything other than the will of God is involved in their decisions. It seems that the takeaway from looking at the state of our convention is this: change is coming, like it or not. The fact is, soon we will have different people in charge of both mission boards and the executive committee. I recall Daniel Akin saying that electing the GCR task force will one day be seen as a watershed event. At this point that is still a question mark. The work of that body is yet to be seen. (and you can read my thoughts here) To me it seems that the real beginning of change was the 2006 convention in Greensboro. That year the convention spoke pretty clearly about its feelings toward the status quo. I believe that at that point many convention goers were beginning to feel disenfranchised. The reason it worked out as it did is, I suppose, unfortunate for Ronnie Floyd. People were feeling that the god-ol-boy network was in full force and their options were not real options. The vote was less of a vote against Ronnie Floyd as it was a vote for the Cooperative Program. I believe that the average Southern Baptist (e.g. me) knows that the CP is the tool that has allowed us to become the world’s greatest mission sending organization. The candidate Ronnie Floyd, with his church's very low CP giving, demonstrated that maybe the good-ol-boy network had the network in mind rather than what is best for the convention. I don’t want that to sound overly cynical. In reality I don’t believe there was some grand conspiracy to control everything in the convention. But I do believe that people who hold influence trust their own judgment more than the convention at large. So they simply put forth a candidate and hoped for a rubber stamp. When that didn’t come in 06, it sent a message. So what is the takeaway from all this. There will be new leadership in the NAMB, the IMB, and the executive committee. (And Rainer has only been at Lifeway about 4 years) And so, regardless of the recommendations that come from the Great Commission task force, change is coming to our convention. This post is brought about by reading this. This is not intended as an interaction with that post. That post merely started the wheels turning in my mind. First, let me say that I believe the most important duty for a Christian is to evangelize, to make other Christians. But this post is not even about that command or necessity. This post is about answering the question, "What is the most loving thing to do?" This answer would be the same whether you are a Christian or a Jehovah's Witness, or a Mormon or a Wiccan. The fact is, if I deeply hold a belief that is so important as Christian faith, then I am obligated to share it with those whom I love. I might add here that it is even more important than just life after death. Faith in Christ and His sacrifice for my sins gives me peace and purpose in this life, as well as a certainty about my future in heaven. If I knew where people could obtain a million dollars with no strings attached, I would certainly tell my loved ones how to do that. Why? Because I love them and it could make their lives better. I don't really want to be the five millionth blog to post the Penn Jillette video, (click here to see it) but in fact Penn, an atheist, understands the necessity of evangelism better than many of the Christians I know. Another symptom of this worldliness is that we are worried about offending people to whom we witness. I understand their view, if there is no such thing as religious truth then how dare I hold my view as certain. Again, I'll say this, if I'm not certain, then why bother? After saying this let's look at my hypocrisy meter. Do I get annoyed when the Mormons or Jehovah's witnesses come knocking at my door? Sure, but I am not offended, and I always pray for them when they leave and I understand why they are there. I believe that they have a message that is false and ultimately hopeless, but they believe it deeply and are right to share it. Any religion worth having is worth sharing. Share Christ with someone this week. What is the key to this giving? I believe it begins with our pastor. All preachers say they are committed to missions, but our pastor demonstrates it. His home plays host to missionaries when a home is needed. One of his children served as a US/C-2 missionary, another was a NAMB employee for a number of years. He regularly participates in short-term missions and makes no secret of the fact that he hopes to be able to do mission work after retirement. His view is that if you are not willing to go on missions, the least you can do is to give. As in all churches, our WMU does a wonderful job of keeping prayer for missions in the forefront. We have adopted a people group and regularly hear updates about them. Yesterday I said that one of the reasons I believe mission giving has fragmented in many churches is that the vision of accomplishing smaller tasks is easier to see. How can you motivate people to give to a Lottie Moon goal that last year was $170 million? By putting a reachable church goal before the people. Our church goal is posted all over the church. In the sanctuary we chart our progress toward that goal. As for the 11% we give to the CP. We make it known what a gift to our church does. This may again come back to the pastor, but his view is that if we ask our people to tithe, the least the church can do is to tithe. (We also give 5% of our undesignated offerings to the NSRBA.) When, a few years ago, the state convention introduced their 3 years to add 1% initiative, we just added one percent on the next budget. People in our church know how the cooperative program works. They may not have percentages memorized, but they certainly understand the concepts. They know what their giving does. And that I believe is the key. Any of you from my church feel free to chime in and tell me what I left out. Before I get to the actual point of this post I need to be clear about something. I do not intend this as a polemic. I am not writing to unite myself with any movement or to denigrate any movement. I am merely writing about a trend I see that I am not quite certain how I feel about. Also, I hinted at my feelings on this topic with a post at Christmas. 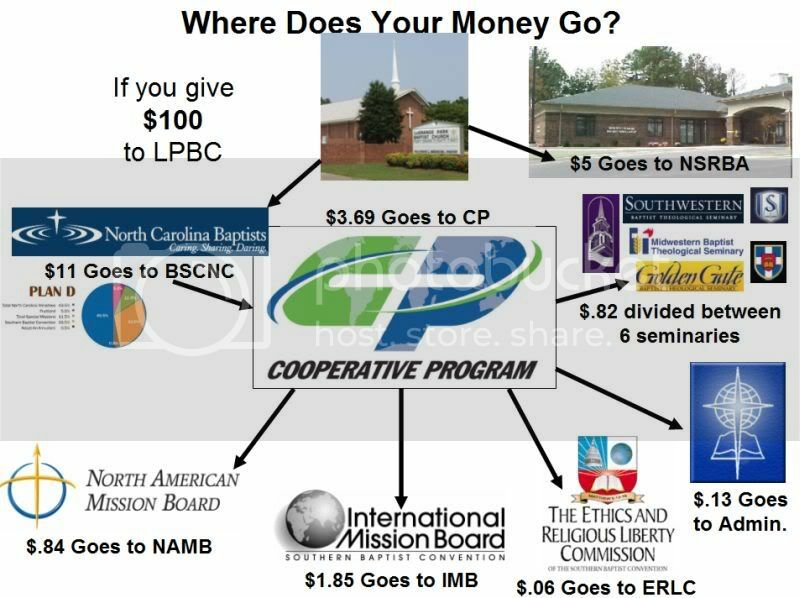 In 1925 the Southern Baptist Convention put in place the cooperative program (CP). This simple and brilliant concept has allowed us to become the greatest mission sending organization on the world with about 11,000 Southern Baptist missionaries. It has made the Southern Baptist Convention the third largest relief organization in the US. It funds 6 theological seminaries providing solid conservative theological education, and it funds countless other ministries done through state Baptist conventions. The beauty of the cooperative program is that we can do so much more as a group of cooperating churches than any of us can do alone. Who has not heard the story of an independent Baptist missionary who had to leave the field and find new funding after his sponsoring church split or simply changed leadership? The Cooperative Program still matters. But simply giving because one is "supposed to" has passed. Momentum is gaining for real accountability and much more effective stewardship. I meet no one who wants to take away from the support of missionaries or the training of ministers. But I meet plenty who say something like these words from one of the brightest young men I know: "In the Conservative Resurgence, many pastors and churches expressed frustration when their giving supported liberal professors in our schools. Now, many I know have the same frustration over giving to a bureaucracy that wastes precious money that could be more focused on the gospel." I remember as a young minister thinking that if the average person in the pew knew some things being taught in our colleges and seminaries, they would want a revolution. Recently, one of the most recognized leaders of our time commented that if the average Southern Baptist knew how every penny of their money was being spent, they too would want a revolution. The category has changed, but the sentiment of dissent is the same. Churchill famously said "democracy is the worst form of Government except all those other forms that have been tried." This is very much how I feel about the CP. Even though there are some problems, it is the best method of funding missions. Having said all of that, there is a trend I have noticed in the last few years. This trend is the fragmentation of giving. I see it most in new church plants, but it can be seen in other places as well. Most new church plants have missions giving at the forefront of their plans. However, it seems that very often this giving is in the form of specific projects. Some have goals of planting a certain number of other churches, some say that they will accomplish some project in a place where the gospel is not known, or they will build church buildings in places where believers need the financial support. 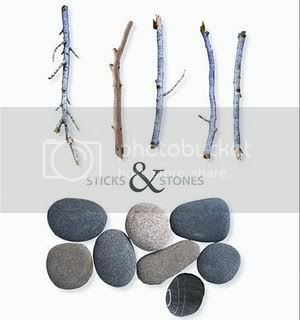 All these are things that the CP does, but these will be done through some avenue specific to the particular project. Does this make me a hypocrite? Again, I know that churches have to have other mission projects besides just the CP. Virtually all local ministries fit this category. The problem is when they are done as a replacement to the CP. I am not even saying that these other projects are not worthy or good, but when they replace CP giving we all become less effective. Why does this fragmentation make us less effective? Because regardless of where missions funds go, there will be a need for administration. The more fragmented the giving becomes, the more administration is needed. One of the things I learned from Baptist history is that one of the reasons our Southern Baptist ancestors separated themselves was a rejection of the mission society model. The society model was inefficient and overly fragmented. I do not know why our churches would willingly return to this. I support church planting but I believe we can plant more churches through the CP. I support missions giving but I believe we can support more missionaries through the CP. I would like to hear from some of you whose churches practice this. Do you think I am wrong? Is my theory about vision wrong? Am I just too old-school and beholden to the cooperative program because of how cheap my M.Div was? This is December, Lottie Moon Christmas Offering (LMCO) time if you are a Southern Baptist. Most charitable organizations use December as their main giving time, and consequently, there are are also hundreds of other great giving options this time of year. Here is a very short list. I am very curious, my fellow Southern Baptists, do you feel guilty giving to these other causes, do you not feel like Lottie is that important. Here is a poll. Vote, voice your opinion in the comments, then send other Southern Baptists to this link. I want a lot of votes because I'm genuinely curious if I'm a freak for feeling the way I do. Someone was at the airport with a cardboard sign with my name when I got off the plane. (This was back when non-passengers were allowed in the terminals.) As soon as I got my luggage I got out a jacket and prepared for an afternoon in the airport. Over the next few hours, almost every missionary from the Northwest Baptist Convention arrived. We had a 2 day orientation at a lodge in the mountains. Day 2 included a sight seeing trip at the Columbia gorge. At the end of day two we split up and the groups went their separate ways all over Washington, Oregon, and the Idaho panhandle. My association had four missionaries. Two girls, whose names I cannot remember (actually now that I think about it, their names might be Michelle and Karen) were in one group. They spent nearly the entire summer in the same ministry location. The other group was David Joiner and myself. We spent the vast majority of the summer in Longview and Kelso WA. So what did a typical week consist of? On Sunday we would go to our host church. 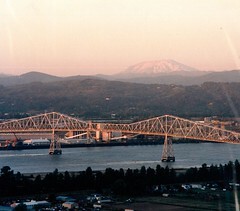 Most were in Longview/Kelso, but we spent a week in Scappoose OR and a week in Castle Rock. On Sunday the host church would usually want to hear from the missionaries. So I would give my testimony, and David would sing. By the end of the summer, David could easily have given my testimony for me, and I certainly had his songs memorized. Then, throughout the week we would hold some sort of Bible study for community children. I believe in 8 weeks we did 13 backyard Bible clubs, 2 Vacation Bible Schools, and a youth Bible study. Most weeks there were morning and afternoon Bible clubs/VBS, sometimes there was an evening event. Some weeks we worked with two or more churches. Saturdays were typically travel days. The Pacific Northwest is a beautiful place, however, and many times rather than rest and do laundry, we would go with host families on sight-seeing trips. We took a few trips to the Columbia gorge, Castle Rock, and Mt. Saint Helens. We went to Seattle, where, as a kid from small-town KY, I saw things I'll never forget. We also went to Mt. Rainier on a very cloudy day, where we had a snowball fight in July. Two weeks were exceptions. The week of the 4th of July no church wanted to have Bible clubs or a VBS, so we mostly had the week off. Our host pastor, Mike Neal, took care of us that week, we floated down the Coweeman River, (It even had a few rapids) and did typical Independence Day activities. It was a good time, mid-summer, for a restful week. We even had a cookout and saw fireworks on Lake Sacajawea. The final week was the other exception. The convention had a week of children's camp at a place called the Dunes Bible Camp. It was on the beach, but the water was about 50° so there was no swimming. The four missionaries from our association plus a mission team from Mississippi, were the staff for this week. We served as basically the teachers for the entire camp. So what did I learn from my experience as a Summer missionary? Before leaving for this trip I had never taught a Bible study lesson. (Except on youth Sunday as a teenager.) I had only once spoken in front of a church. By the end of the summer, I was a veteran. I will never forget how nervous I was teaching the first Bible study to a group of Children, how great it felt as they paid attention, and some kind words of encouragement from one of the parents after I finished. I can remember having a conversation with David during our last assignment. I was looking back and wondering if I accomplished anything. Over a 10 week summer, we saw no professions of faith, and no one was called to the ministry or to missions. We didn't build anything or accomplish some great task. Really I was rather depressed thinking that the summer had been wasted in some way. Although I knew I had been faithful to God. However 2 summers later, as I was serving as the interim Minister of Youth at my home church, God called me into the ministry, and I could look back and see how much of what I now knew I could do, I learned in that summer. I definitely learned to rely on God. When you go 2500 miles from home, for a salary of $60 a week, to a place where they don't sell Mello Yello, without knowing a single person, before cell phones were common, you must depend on God for your support. You learn that you actually can depend on God. In fact, the main thing I learned that summer was that I can depend on God. He is always faithful. Looking back, there are few experiences in my life that played as large a part in shaping who I am, as that summer. There is nothing like a mission trip to teach you things about God that you simply cannot learn at home. I would recommend summer missions to every college student, especially if you are struggling with God's will for your life. You can learn about summer missions in North America at this link, and international summer missions at this link. After giving God priority, I began to feel His call to spend that first summer as a missionary. However, at that time I didn't know how to hear His voice and I didn't know what He really wanted. I can look back now and say He was clearly calling me to give that summer to Him in missions, but at the time I was genuinely torn. I got an acceptance letter telling me I was headed to the Southwest Washington Baptist association, (DOM Ted Cotton) which is part of the Northwest Baptist Convention. Then I had to figure out a way to tell my parents what I as planning. This was 13 years ago so I don't remember exactly, but I do remember my mom being all for it, although nervous. Dad told me, "I kinda figured you would do something like that." I wondered why, but he suspected it because of my involvement with the BSU, and the experience of an extended family member. That went much better than expected. And so, with no objections from anyone, I made preparations to spend my summer in Washington and Oregon. I obviously had no idea what to expect. I got instructions on how to book my flight to Portland and was ready to leave at the first of June. The flight to Portland was my second ever flight, and it was by myself. I was obviously nervous about many things, flying, how to pack enough clothes for 10 weeks, what am I getting myself into, what if I'm miserable? 10 weeks seemed like a long time. Tomorrow, in part 2, I will write about how I actually spent the summer, some of the adventures, what my thoughts were then, and how it changed me. Monday night at the 2008 BSCNC featured a commissioning service for 31 IMB missionaries. It began with march in the flags of many countries lined the aisle ways as the missionaries worked their way on stage. Then it concluded with a message from Dr. Tom Elliff. By far, the best part of the commissioning service was the the time of testimony from the missionaries themselves. There were 31 appointees. They ranged in age from their 20s to their 60s and they all had different stories. They were literally headed to every part of the globe. Some were called as children in GA meetings, some in college, and some as they were retiring. Single, newlyweds, widows and grandparents. It was very inspiring. My prayer every day is that I will go wherever God wants me to go, Alaska to Africa, as long as I know it is god who has called. I have a very clear sense of calling, but that commissioning service allowed me to see something I already knew, there is nothing super-Christian about missionaries. they have simply been called, and said yes. I have a couple of friends that are missionaries and I admire them for their willingness. This video of missionaries from West Africa demonstrates this point very well. Enjoy it, and be willing to be God's vessel wherever he calls you. He may want to send you to Indonesia, but he also may want to send you to the choir, the nursery, or the nursing home. Tuesday: Part one of the story of my missionary summer, 1995.